Our Future Media release in June 2012 focused on some of the new players out there in HE. Hyper Island fascinated us. Partly because of what it stood for, but mainly because so few people we spoke to knew it was out there. What’s for certain is that this type of New-School approach is very much on the rise. No teachers, tests, textbooks or homework. Students learning to think creatively through real world projects. 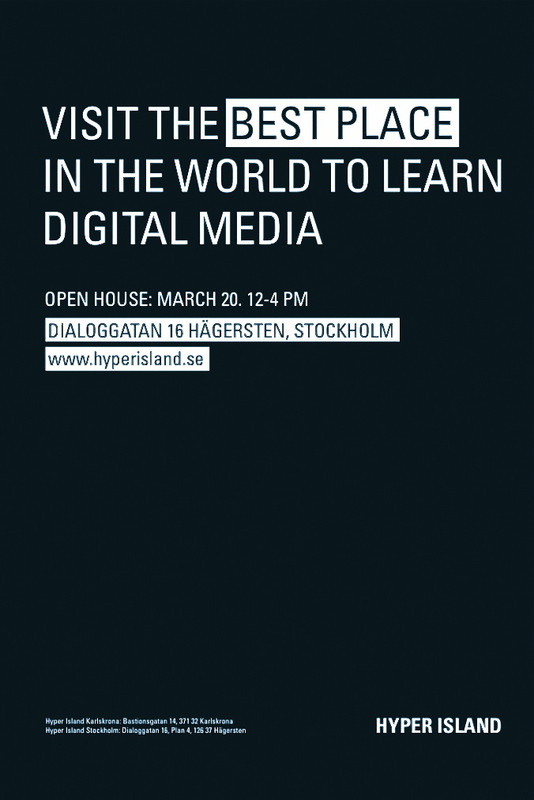 Hyper Island is an international school that’s ripped up the education rulebook. Here students learn by doing, experimenting, failing and succeeding. They work on creative and digital projects set by real clients such as adidas and MTV. And they push the boundaries of creativity to learn about themselves, how to work in teams and how to make amazing things happen. The only lectures are talks by top industry players. Whilst mentorship comes from the ever-expanding Hyper Island alumni network. The School came about because the digital world demanded a new kind of learning. A place where students could grow as professionals and human beings to prepare themselves for the lightening-fast pace of the modern workplace. It opened in 1996 on an island in Sweden, the site of a former military prison. Today around 400 students a year from around the globe join programs in Karlskrona (Sweden), Stockholm (Sweden) & Manchester (UK). It may seem a strange concept. But it works. And the only way to truly appreciate it, is to watch the videos of students enjoying learning, belonging and rewiring their brains to think creatively. You can get a good feel for the Hyper Island story by checking the numerous videos out there. Have a look at the Swedish adidas brief or simply start at the official Youtube channel and make your way from there. 2012 releases of The Future Index are available at www.thefutureindex.com or drop one of us a line jim.tudor@thefutureink.com, nick.brian@thefutureink.com. I have worked with Jim across both Higher Education and Global Schools Education, and his ideas, input and creativity never fail to produce results. While you are being inspired by what’s out there, and brainstorming creative campaign ideas – he cleverly develops your strategic thinking and a new way forward. Looking forward to the next time we can collaborate.